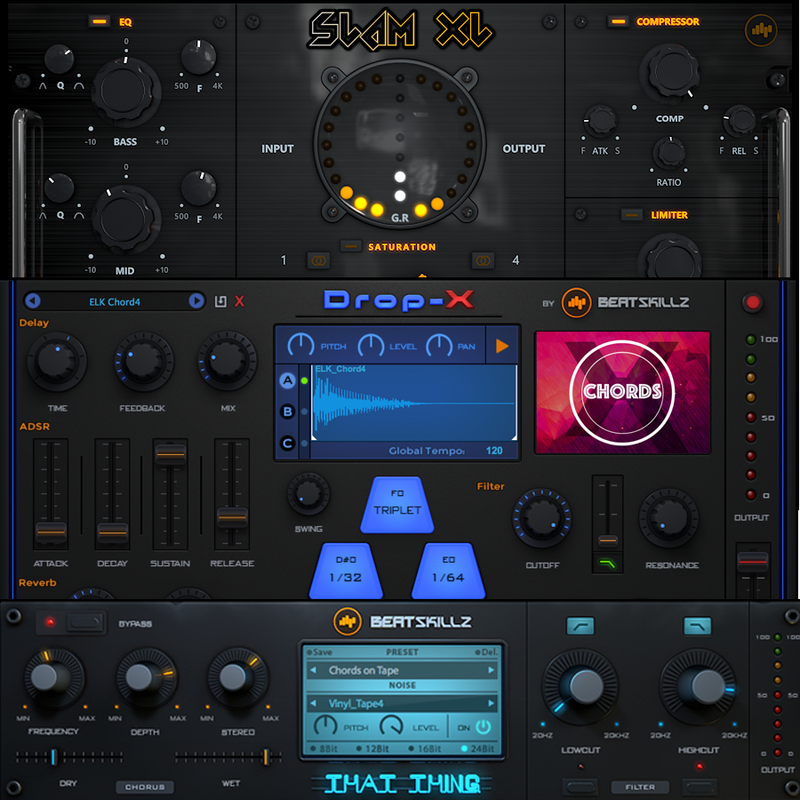 Urban / Dance producers need quick and powerful tools which can enhance their workflow tremendously. When producing and delivering beats to clients, producers rarely have the time or patience to work with complex plugins with confusing parameters. 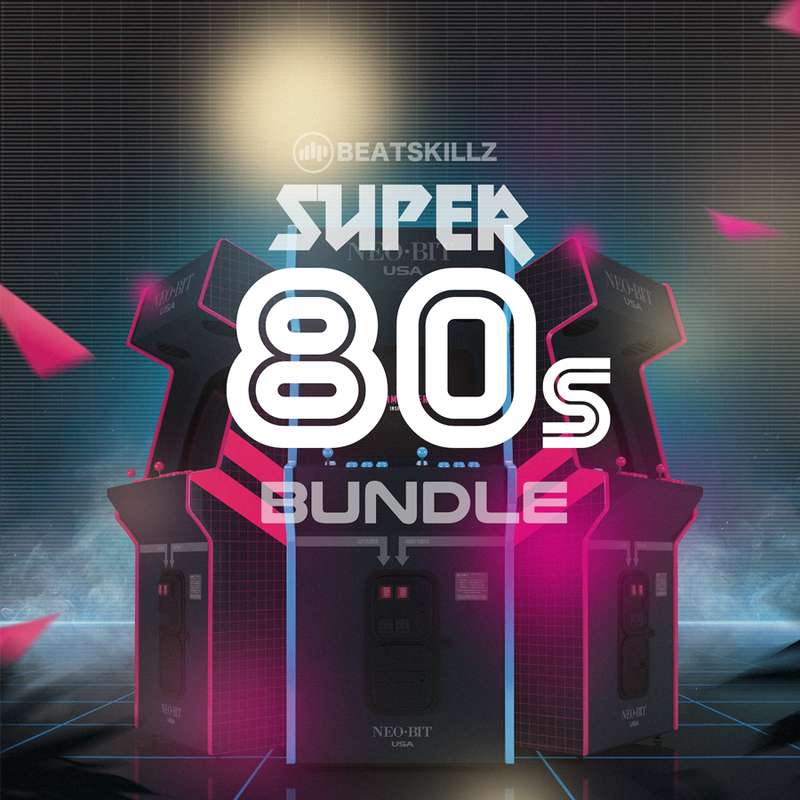 Beatskillz has come up with the Urban Producers Bundle which contains 3 of our top selling plugins, greatly speeds up the process of creation. “That Thing” is a multi effects processor that was designed to get you “That Thing” missing from digitally perfect tracks today. It features a beautiful wide and deep chorus section great to thicken anything from synths, vocals, bass, pads drums and other sounds. DropX is a very easy to use Drag & Drop Sampler plugin. 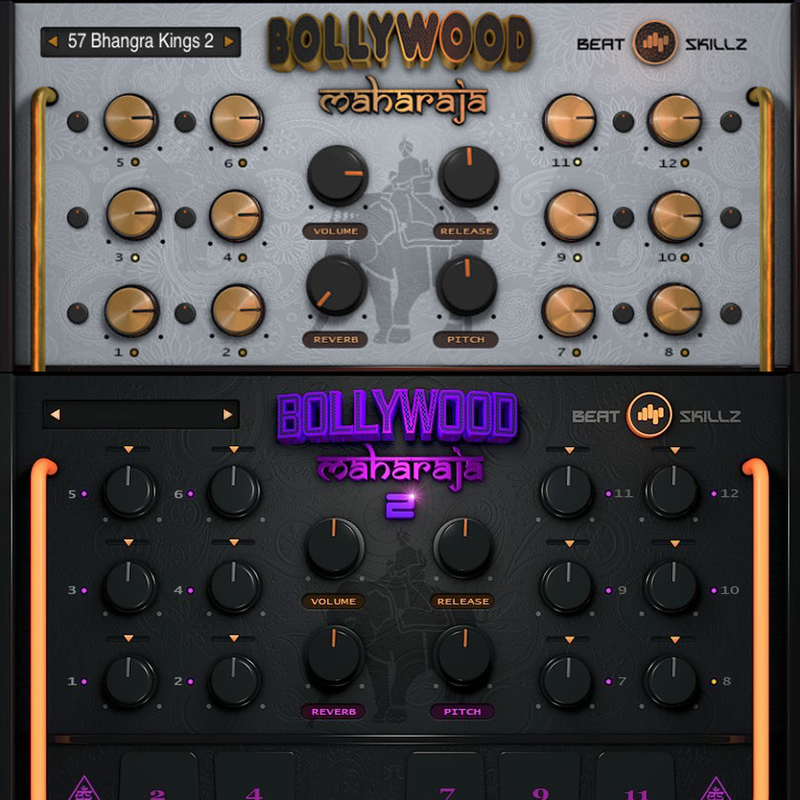 The plugin can contain upto 3 layers of samples which are auto-mapped by pitch as soon as they are dropped in the sample window per layer . Dropx can quickly make Drum Rolls, Repeat/ Stutter Vocals and other sounds that you can drop into the plugin. 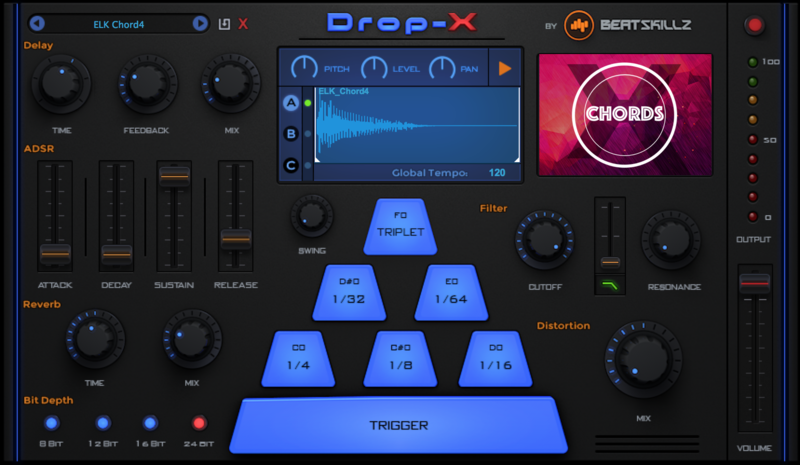 DropX is a very easy to use Drag & Drop Sampler plugin with Beat Repeat. 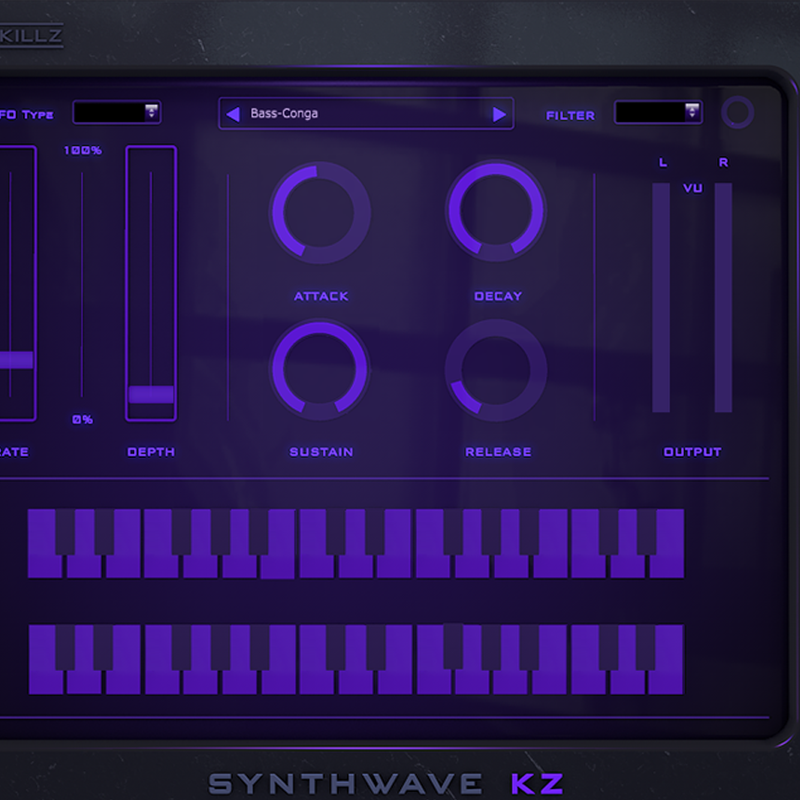 The plugin can contain up to 3 layers of samples which are auto-mapped by pitch as soon as they are dropped in the sample window per layer. 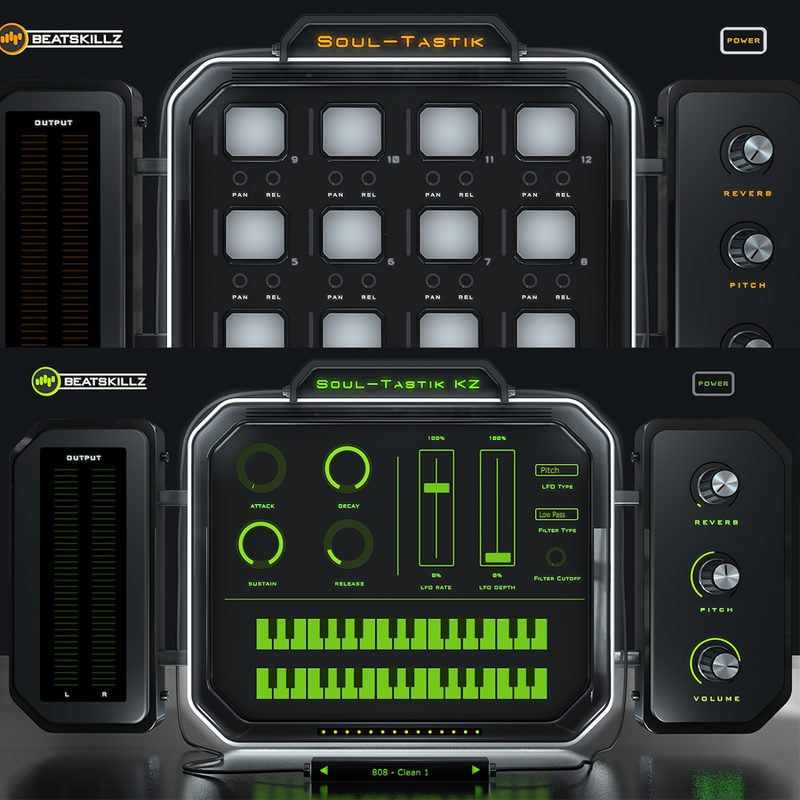 Comes with over 250 Presets containing Kicks, Snares, Hats, Cymbals, Claps, Bass, Synth, Textures, Vox. & Chords to get you started. EQ in / bypass button: Switch the Eq section on and off. BASS Band: This band features a frequency control with a range of 50 Hz to 200hz, a Q control for the bandwidth of the bell filter and the Gain Control for the band. MID Band: This band features a frequency control with a range of 500 Hz to 4K, a Q control for the bandwidth of the bell filter and the Gain Control for the band. Low Cut Filter: This features a 12db/ octave low cut filter with a selection of 20, 50 & 100 Hz and off. Saturation in / bypass button: Switch the section on and off. 6 Selectable Saturation types buttons): Get 6 distinct saturation flavors to choose from. These have been captured from various analog equipment both new and vintage to give you anywhere from “smooth” to “crunchy” styles. 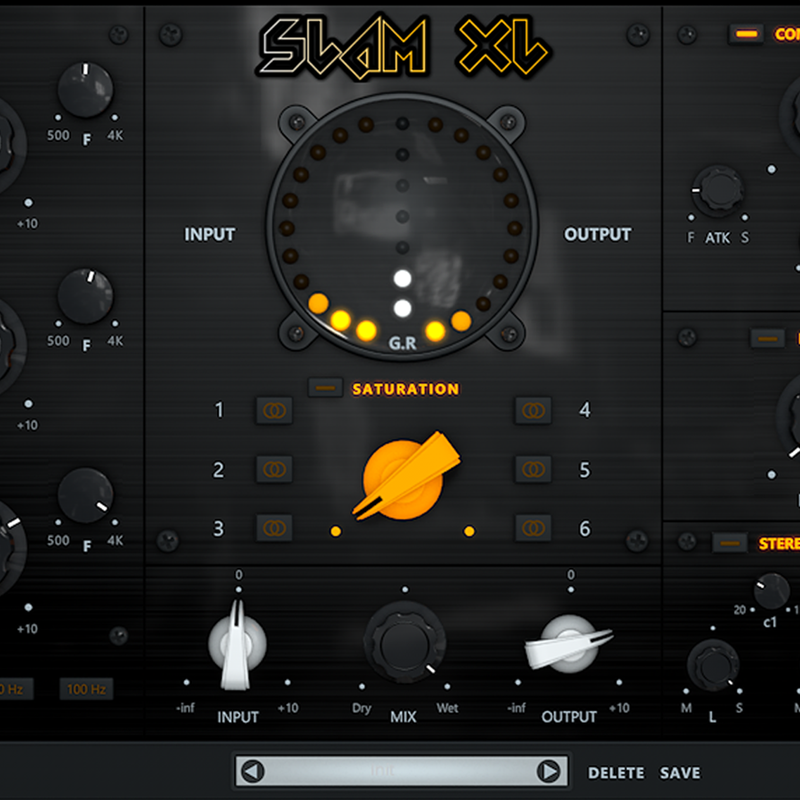 Controls for changing the input and output gain as well as a “wet/dry” control has been provided, so that the user can adjust gain staging and also the intensity of the processing. 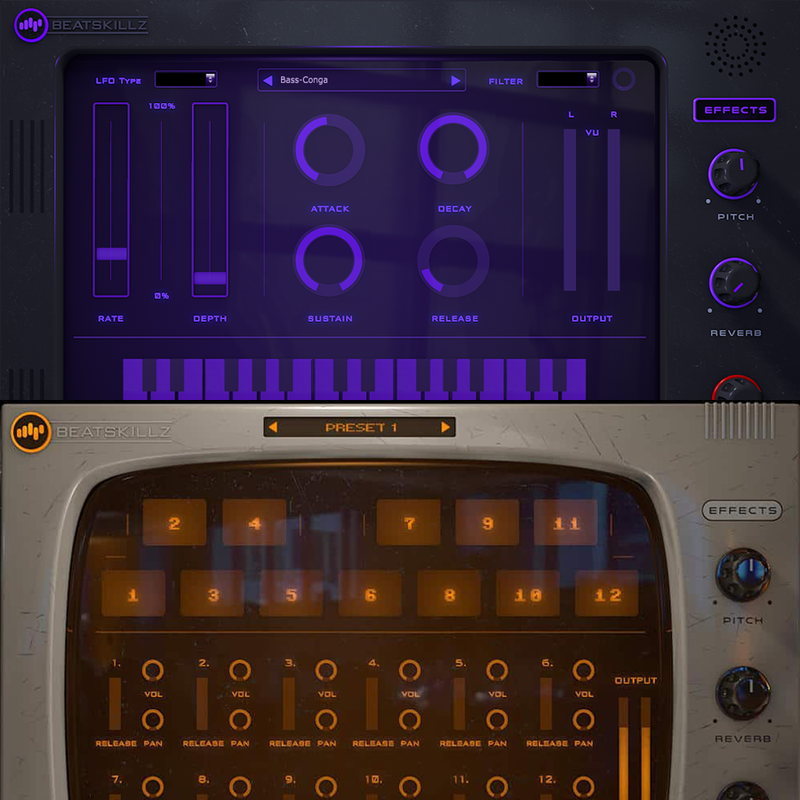 Want to mix in the original signal? No problem just dial “left” add it back into the mix. A “loudness” limiter designed to bring more levels and apparent loudness to your tracks or busses without any compromise. Easy to use with one control. No Pumping! A full 3 band stereo expander based on the Mid/Side method and with crossover controls for the bands, enables you to easily “widen” or “narrow” down the spatial image of your material quickly. The metering section provides modern LED style metering for a visual signal response. This Features an LED strip on the left for the input signal, an LED strip on the right for the Output signal. The Center LED strip depicts Gain Reduction when the compressor Section is in use. 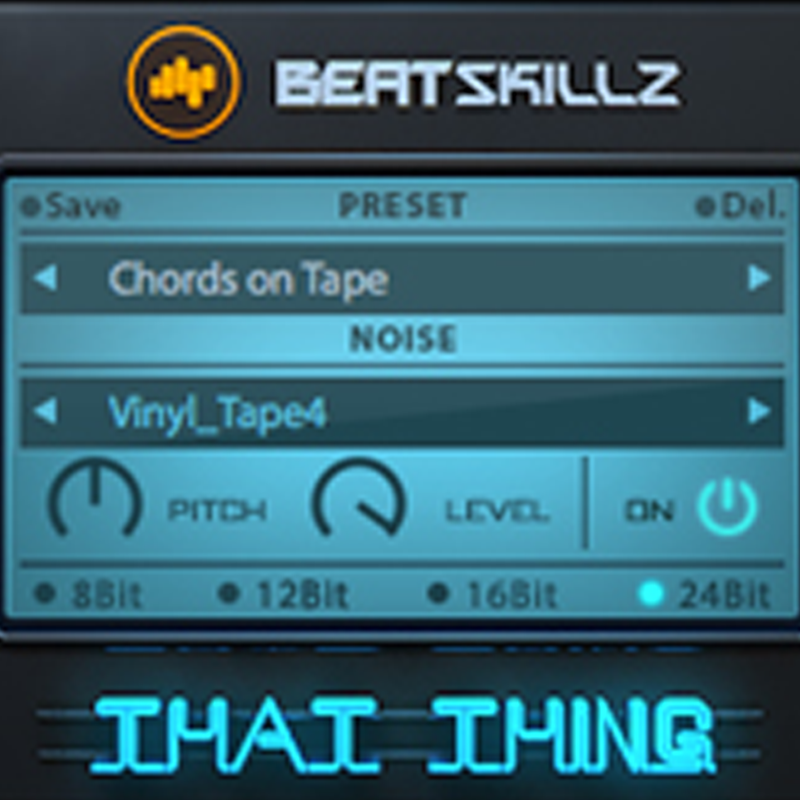 ‘That Thing’ is a multi-effects processor that was designed to get you “That Thing” missing from digitally perfect tracks today. It features a beautiful wide and deep chorus section great to thicken anything from synths, vocals, bass, pads drums and other sounds. ‘That Thing’ is a multi-effects processor that was designed to get you ‘That Thing’ missing from digitally perfect tracks today. It features a beautiful wide and deep chorus section great to thicken anything from synths, vocals, bass, pads drums and other sounds. The soundscape generator features 50 samples of old vinyl players, tape machines, old radio, tube gear, atmospheres, ambiences etc. These add to your sound with an envelop follower, so the sounds add in only when the signal is present and move, and pan with the level of the signal. Easily change the pitch of the soundscape to make it work with any audio you pass through it. 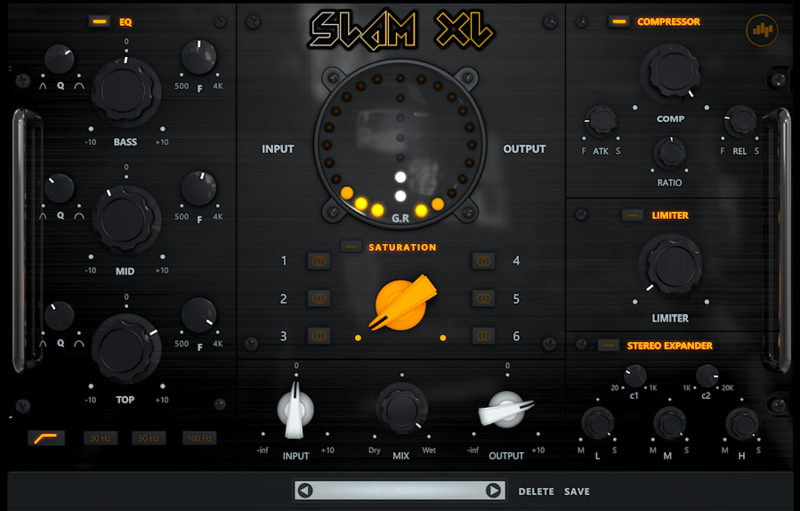 The plugin features a bit crusher and distortion that emulates the sound of vintage drum machines giving you a choice of 8/12/16 and 24-bit audio. There is also an analog Low Cut and High Cut filter section designed to shape your sounds further. A wet and dry fader is included to blend in the effects with your original audio.